A state official, citing elevated readings of radiation across the Hanford site, sends a letter of concern to the federal Energy Department. 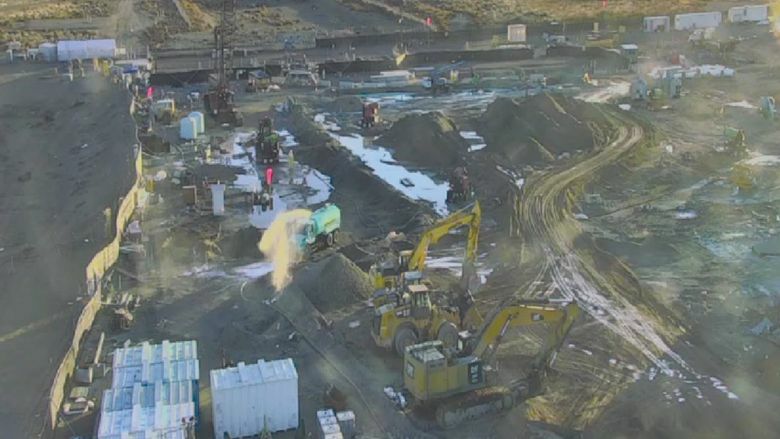 The Washington State Department of Health has sent a strongly worded letter of concern to the U.S. Energy Department about elevated readings of radioactive contamination that state monitoring has found across the Hanford Site. The highest measurements were in November and December, according to the letter sent Tuesday by Clark Halvorson, assistant secretary of the state Department of Health. Air samples, in some locations, had concentrations of americium and plutonium at five to 10 times federal emission standards for a yearlong exposure. The particles are assumed to be from a demolition project at a plutonium finishing plant, where work has been suspended since December due to the spread of contamination. Since then, more than 270 workers concerned about their health have requested bioassays to test for radioactive exposure. Results released so far have covered 109 workers and found that two tested positive for having inhaled or ingested radioactive particles. The letter reflects the more hands-on approach the state health department is taking amid concern over the federal response. Test results indicate the contamination spread over months of cleanup work at the plutonium finishing plant. Americium and plutonium give off hard-to-detect alpha radiation. It was found up to 10 miles away from the demolition site, a spread Halvorson described as “troubling because of its greater potential for damage … in biological tissue and the potential for lifelong internal contamination. His letter to Doug Shoop, manager of the Energy Department’s Richland Operations Office, requests that federal officials provide a lot of additional information, including worker bioassay results, to the state by March 9. In a written statement, the Energy Department said “we welcome and expect feedback on our operations” from Washington’s health department, and will continue coordination. The department also said it has taken steps to stabilize the contaminates and also announced a change of leadership with the private contractor performing the work. In a note to Hanford employees, Shoop downplayed safety concerns. He wrote that even if a worker stayed “around the clock” at a site with the highest reading, his or her radiation exposure would still be under an annual control limit. Tom Carpenter, executive director of watchdog group Hanford Challenge, says the demolition project is responsible for one of the most serious spreads of radioactive material in the decades of cleanup work at Hanford. The 586-square-mile Hanford site has been the focal point of a decades-long cleanup in the aftermath of plutonium production for nuclear weapons that began at the end of World War II and continued through the Cold War era. The finishing plant encompassed more than 60 buildings and produced hockey-puck-sized pieces of plutonium that were shipped to weapons-production complexes elsewhere in the United States. The demolition work that is now suspended has focused on a facility that reclaimed plutonium. Halvorson’s letter said the state warned federal officials back in June of air- monitoring results at a Hanford public access point that found americium 241 concentrations at levels more than triple federal standards for a yearlong exposure. A round of worker of bioassay tests conducted in the summer found contamination in 31 people. State officials expected that things would improve in late 2017 — but they didn’t, as the boundary maps for the radiation contamination spread “drastically” from the original commitments made in the demolition plans.